by Sam Webster, August 2002 In response to discussion the Chthonic-Auranian OTO list. This is a lovely topic, one I've spent the last ten years cooking on. I'll attempt to summarize what I now understand, but this understanding is always in process for me. I have done some writing about it. 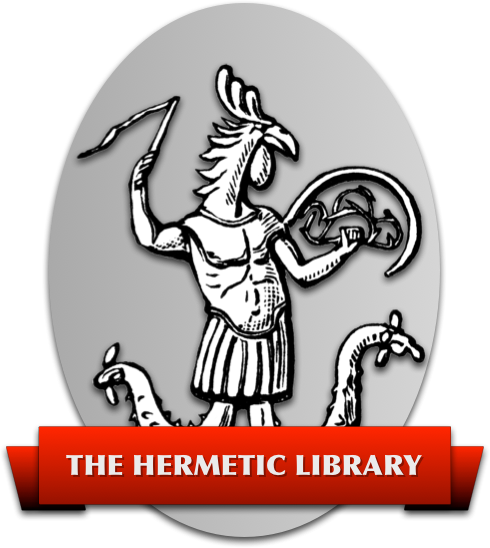 See Pagan Dharma 1, Pagan Dharma 2, and A Thelemic Ganachakra (a thelemic-dharma gnostic mass) elsewhere on this site. So, my exploration of things 'Buddhist' has not been easy or gentle, but it has been very fruitful. It began simply by taking a class in seminary on “Tibetan Contemplative Tradition” along with other classes on various other religions as a way of broadening my knowledge. It was in this class that I met Bhakha Tulku and was given the explanation of refuge “We all need help, Refuge is asking for help”. For a variety of reasons this really worked for me. I'm guessing that Alobar [a list dweller] would be raising flags here about who the help is coming from and what strings are attached but I will come to that later. Samsara, some times translated as cyclical existence, is called 'Kor-wa' in Tibetan, meaning “Running in circles”. The idea is that these are beings who have no control as to how they incarnate or the condition of their lives. They are entirely enmeshed in their karma and this is unsatisfactory to them. The six classes of beings benefited by this practice are Gods, Jealous Gods (called Titans by the Greeks), Humans, Animals, Hungry Ghosts and Hell Beings. So, I continued to study. The next big piece for me was Steven Beyer's “Cult of Tara”. This work is a highly detailed study of set of Tibetan rituals. Interestingly to me, in order to explain Tibetan ritual magick, Beyer had to turn to the western tradition, in fact to all of those names we know and love. This work is for me a rosetta stone, one that showed me that the techniques of so-called oriental ritual magick are no different than those of the western tradition. It is just that their culture dedicated the same energy to ritual the west dedicated to music, so when it comes to ritual while we are playing 3 chord Rock & Roll, they are playing symphonies. But, 'tech is tech'. The same principals used there are used here. In fact I found in this book the very method described in the Ascelepius, the brief description in the Hermetic Corpus of drawing the damon of a star into a statue to animate it. In the Cult of Tara, the statue was one of Tara, but here the full method and its theory were spelled out. I can attest to the fact that it works. Now to Thelema. Uncle Al considered the Book of the Law as a sort of third testament. Cute, but as a student of western religion I've studied the genres of the scriptures and it doesn't quite fit. The closest thing to it is an apocalypse since it reveals something, but those usually involve some one being taken up to heaven or have a vision revealed in the temple. This one is different. In the Nyngma tradition of Tibetan Buddhism there is a peculiar version of continuous revelation. Texts, called 'termas' or treasures would be delivered to individuals who would be given the task of writing them down or figuring out how to apply them. I'm not going to do a complete analysis here but for instance many people have trouble with the presentation of the RHK in the third chapter. However, anyone who has read the practice of a wrathful buddha would consider RHK only mildly wrathful. Stamping down on the wretched and the weak is a gentle approach to correcting suffering compared to some of the actions of the dakinis. So these are the parallels I make: Nuit is Pranjnaparamita, the perfection of wisdom embodied, Shunyata given a face and form the mother of all the buddhas (buddha means awakened one), and the basis for all refuge. Hadit is the inherent buddha nature with in each of us, already enlightened or 'perfect.' Ra-Hoor-Khuit is the union of entitative being (Hadit) and world (Nuit) and is the god form or Yi-dam for Thelemites to take in in their practice as a way or articulating their will. (Not necessarily all the time but as an archetype). Now for me the proof is in the pudding. I used the methodology mentioned above and many of its components to build a set of rituals using the thelemic godforms and symbolism and used the View, the insight gained from the buddhadharms to focus it. In one of these Ra-Hoor-Khuit is the deity-form the practitioner takes on in exactly the same 'buddhist' manner. Yet the ritual is entirely Thelemic. In this way I think I'm making Buddhism more Thelemic than making Thelema more Buddhist.